Glasgow Central MP, Alison Thewliss, spent Thursday morning visiting Freedom from Torture, a charity which is based in the Gorbals area of her constituency. As a leading charity providing support to refugees and asylum seekers, Freedom from Torture provides expert medical assessments to support survivors’ asylum claims as well as specialist psychotherapy support. They also facilitate more informal groups on gardening, music, creative writing and cookery. 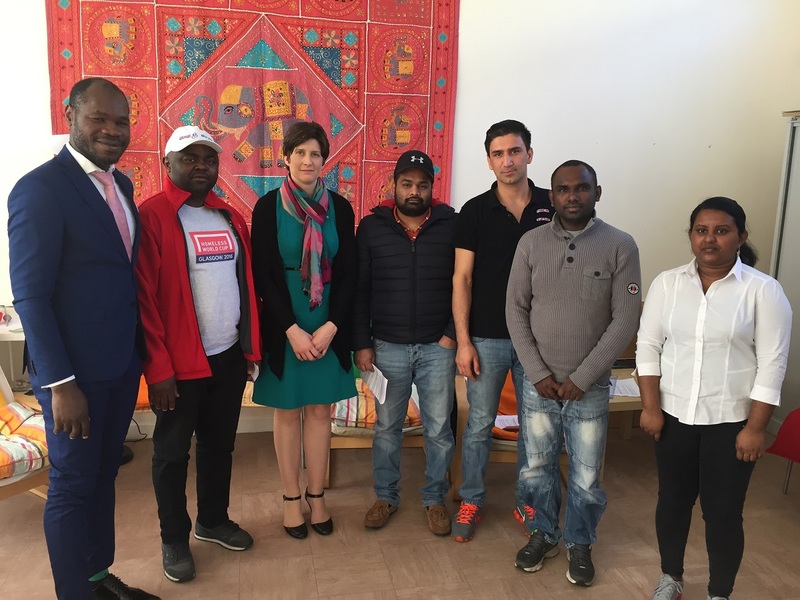 Ms Thewliss had a chance to meet with some of the refugees who use the service and hear their experiences of interacting with the Home Office. “I was really grateful for the opportunity to visit Freedom from Torture this morning. The work they do to support some of the most vulnerable asylum seekers in our country is heart-warming and ensures refugees get the love and support they need after such awful ordeals.